Serving House Books, 9780985849580, 148pp. 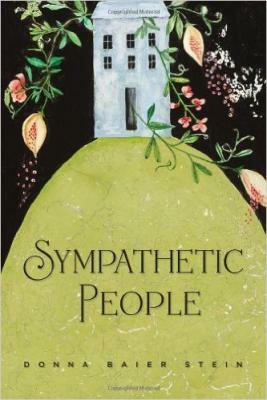 Both the beauty and frailty of human connections are seen in the thirteen stories collected in Sympathetic People. Here are women and men struggling to find love, meaning, happiness in marriage, adulterous affairs, art, meditation, and even the passage from life to death. Longing generated by loss is everywhere--in the death of a son, the end of a marriage, the slide from hope ignited by Neil Armstrong's moon walk to hopelessness after President Kennedy's death. In "Hindsight," Jessie, a hippie in Lawrence, Kansas, opts for what she assumes is stability in a world of change, only to be brought up short years later when her life veers off its predicted path. "The Secrets of Snakes" reveals the early ruptures in a marriage and a wife's futile attempts to stop them even as she tries to care for her son's pet racer. In "The Jewel Box," a grandmother promises to let her granddaughter know what Heaven is like after she passes and if, in fact, it looks like the Art Deco greenhouse built in St. Louis during the 1904 World's Fair. And in "Versions," a newlywed in Plano, Texas, entertains her sometimes angry husband's first wife and realizes too late what she has given up in choosing him. "The Second Time the Bird Escapes" brings the collection full circle as a woman vies for attention with her husband's new girlfriend and watches a peacock race across the yard to freedom, its dazzling tail open like an invitation. Donna Baier Stein's writing has appeared in Virginia Quarterly Review, Kansas Quarterly, Prairie Schooner, Washingtonian, and many other journals and anthologies. She has been a Finalist in the Iowa Fiction Awards and received the PEN/New England Discovery Award for Fiction, a Johns Hopkins University Writing Seminars Fellowship, Bread Loaf Scholarship, a grant from the New Jersey Council of the Arts, prizes from the Poetry Council of Virginia, two Pushcart nominations, and an Honorable Mention in the 2013 Allen E. Ginsberg Poetry Awards. Her poetry chapbook Sometimes You Sense the Difference was published in 2012. Donna was a Founding Editor of Bellevue Literary Review and founded and currently publishes TIFERET. She is also an award-winning direct response copywriter. www.donnabaierstein.com.